Stunning ocean-side settings and world-class chefs make dining at many Barbados restaurants truly special. Some of our favourite spots are Champers and Apsara Samudra on the south coast of the island, and Cin Cin, The Cliff, and Fish Pot on the west coast. When making your reservation, mention that you’re spending your honeymoon in Barbados and get an extra special treat! Stunning tropical sunsets are awe-inspiring and uplifting. Enjoy the kaleidoscope of colours from beaches and boardwalks along the west and south coasts of the island. Two of our favourite beaches for watching the sun slip into the sea are Rockley Beach on the south coast, and Holetown Beach on the west coast. Want some quiet time together away from the crowds? 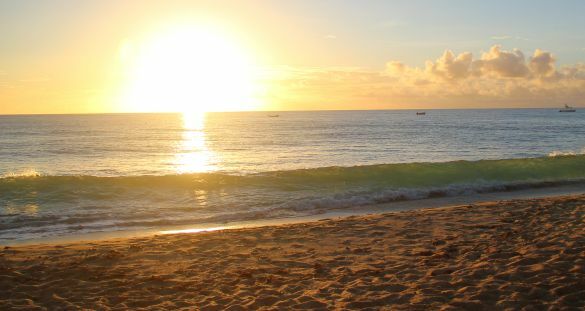 Head to the ruggedly beautiful east coast of Barbados. Walk along endless beaches, collect seashells, and soak together in natural ocean pools. 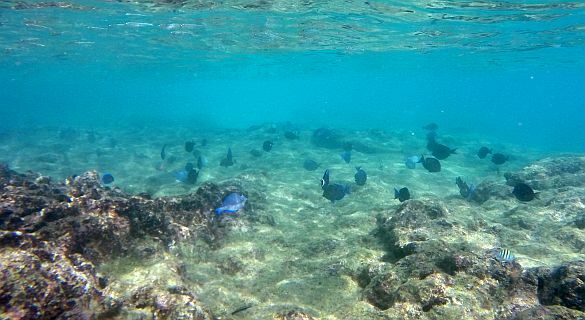 Snorkel hand in hand over tropical reefs, surrounded by beautiful fish, sea fans, starfish, seahorses, and turtles! Don’t wish to get wet? Then head underwater from the safety of Atlantis Submarines. Head to the lively St. Lawrence Gap and hop between bars and clubs along the strip. Harbour Lights nightclub is a favourite spot on Wednesday and Friday nights, while Red Door Lounge attracts party-goers seeking a more up-market scene. Tip: The Private Honeymoon Tour includes your own personal tour guide for a romantic excursion that concludes with dinner at a café or on a personal boat reserved exclusively for you!